There you go, Microsoft joins the MWC 2010 party by announcing its completely rebranded Windows mobile OS, now called Windows Phone 7 series. Â But aside from the rebranding, Microsoft has also mentioned several new and exciting features of its latest mobile OS. Although there is no definite handset yet that will carry Windows Phone 7 Series, Â Microsoft is banking on the mobile platform’s brand new appeal. In fact, 7 series was built completely from the ground up. Â And among its nice features include – a new home screen, integration with XBOX Live and Microsoft Zune, as well as enhanced social networking features. 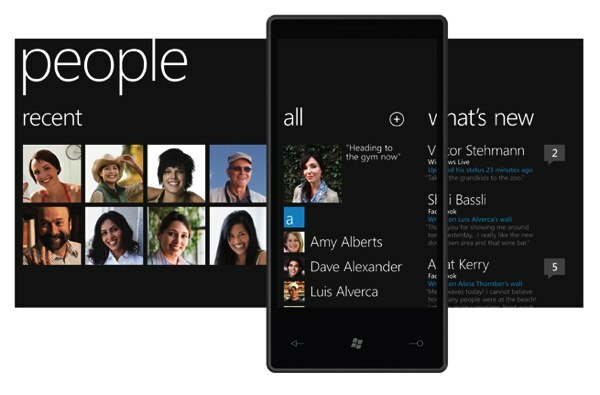 In addition, the new OS makes a Windows Phone 7 Series phone look a lot like Microsoft Zune. But it heavily focuses on social networking features. And integrating the OS with Xbox, the OS will have Live games, game avatars as well as profiles. What’s pretty interesting about his development is that Microsoft also announced that their new OS will require mobile phone manufacturers to adhere to a one identity policy. This means that Â new phones will be sporting Â high res touchscreen, and Â three front-facing buttons. Windows Phone 7 Series will be supported by various telecoms company including AT&T, Verizon Wireless, Sprint, Telefonica, and more. An Internet-based WorldRadio that can receive broadcasts for free from 15,000 radio stations from more than 160 countries is now available from Wolverine Data, Inc.
Offering a stand-alone Internet radio capability with vTuner portal, the WorldRadio is the most advanced Internet radio with maximum worldwide station reach. The device features built-in 6-watt stereo speakers and external audio jacks to connect to headphones or a stereo system and users can sort by genre, country or add their own music. In addition, the WorldRadio uses Windows Media Player 11 to wirelessly stream music from a computer. The WorldRadio package includes a 100-240V auto switching AC to 9V power adapter, remote control with batteries, quick installation guide and user manual. Reciva and Pandora announced their partnership to make Pandora available on Reciva-powered Internet Radio receivers and networked devices in the US. Products from more than 30 Consumer Electronics brands are expected to be upgraded to offer Pandora’s unique Internet radio service. Pandora is a personalized music service which has exploded in popularity to more than 10 million users, almost entirely by word of mouth. Pandora makes listening to favorite music and discovering new music simple and fun. Users just type in a song or artist that they like, and within seconds, Pandora delivers a free and personalized radio station with a continuous stream of songs that fit the same sound and style. Reciva-powered radios allow users easy and convenient access thousands of live radio stations from across the world without the need for a PC. These are mostly terrestrial broadcasters streaming their broadcast signal over the Internet in a process known as “simulcasting”. The addition of Pandora to the Reciva platform adds a unique and highly personalized service that is tailored to the user’s preferences. Users can rate songs on Pandora through the “Reply” button on every Reciva powered Internet Radio with either “thumbs up” or “thumbs down” so Pandora can immediately adjust the station’s programming, and they can pause a song as well as skip a song that they don’t want to hear. Using the “Reply” button, listeners can also bookmark a song, and the song name and artist will be saved. NowLive, a relatively new online service which combines social networking and user-generated broadcasting, announced a new widget today for making it easier to get a talk show noticed by the online masses. This widget can be plugged into a variety of Web sites. The NowLive Talk Show widget lets anyone with a social networking profile on sites such as MySpace or blog sites like LiveJournal, Blogger and TypePad embed their own live talk show directly into their personal profile. 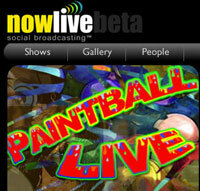 NowLive in general works by letting one dial a local phone number to create voice streams for his or her new talk show. Talk show hosts can interact with listeners through a variety of tools and the shows are later made available as downloadable podcasts. Federal court of appeals rejects webcasters’ motion to delay the onset of internet radio royalty rates passed by the Copyright Royalty Board early this year. This agreement made by the Copyright Royalty Board requires internet radio stations to pay .08 cent per song played online, retroactive to 2006, which rises up to .19 cent by 2010. Also, stations ahave to pay a minimum of $500 royalty payment per channel. It was because of this that webcasters around the world staged a day of silence last July 26 as a plea for reconsideration.